For more than five centuries, the Eusebius Church has maintained a stable presence in the city of Arnhem. Throughout the centuries, the church has been adapted for changing uses: from a sacred place for believers, to a meeting place for a wide audience of cultural events. Eusebius aims, however, to strengthen its role in the city. 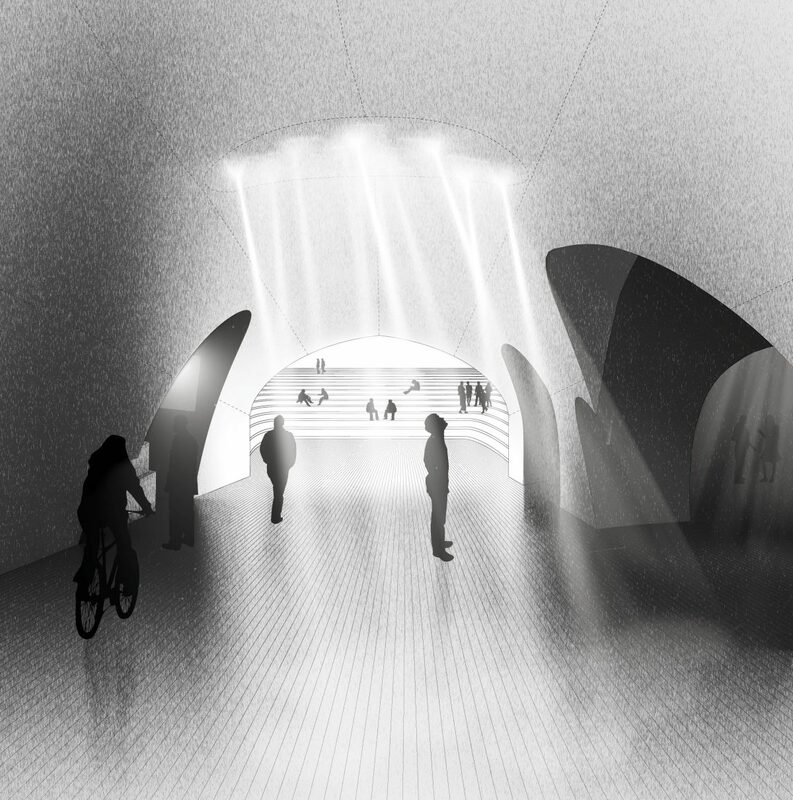 The church will not only be home to diverse cultural expressions, it will also strengthen its connection with the city. As the focus of urban life, it requires a smart design that invites occasional visitors and becomes a hotspot for daily urban social life. 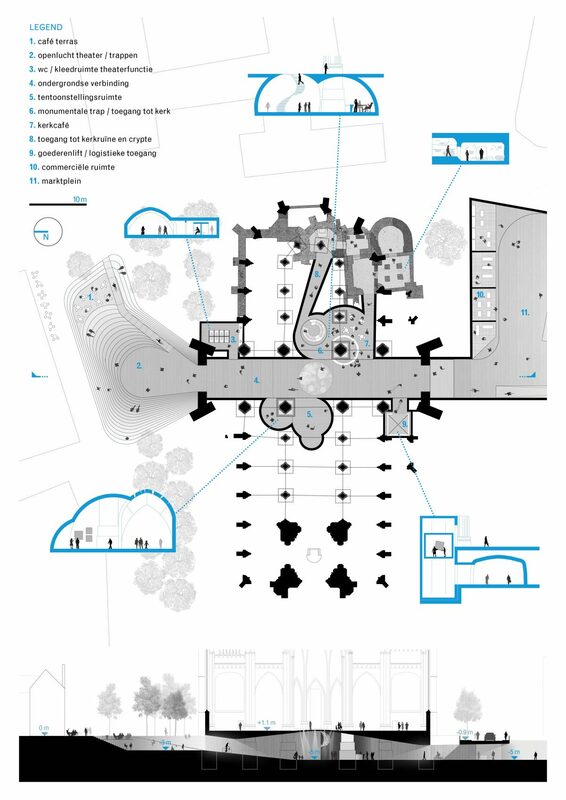 The challenge is to intervene while reinforcing accessibility, usability, monumental quality and urban connections of the church. Intervening on a monument is always a complex task. Careful research for a suitable place for an intervention resulted in the catacombs a viable opportunity. The best area for intervention is under the church. Located on the sandy soils of the Veluwe, Arnhem is one of the few cities in the Netherlands with a complex but relatively unknown and unexplored network of caves and catacombs. 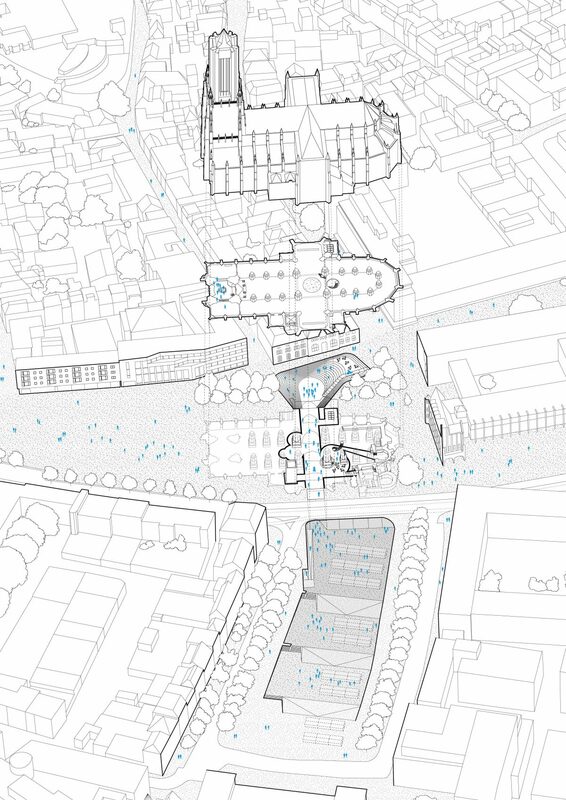 A path underneath the church would not only provide the opportunity to create an additional access to the church, it would also to link it to the history of the city; enabling a fluid connection between the new market square and the slow traffic of Jonas Daniel Meijer Square.